Here is our handmade, all organic love soap! 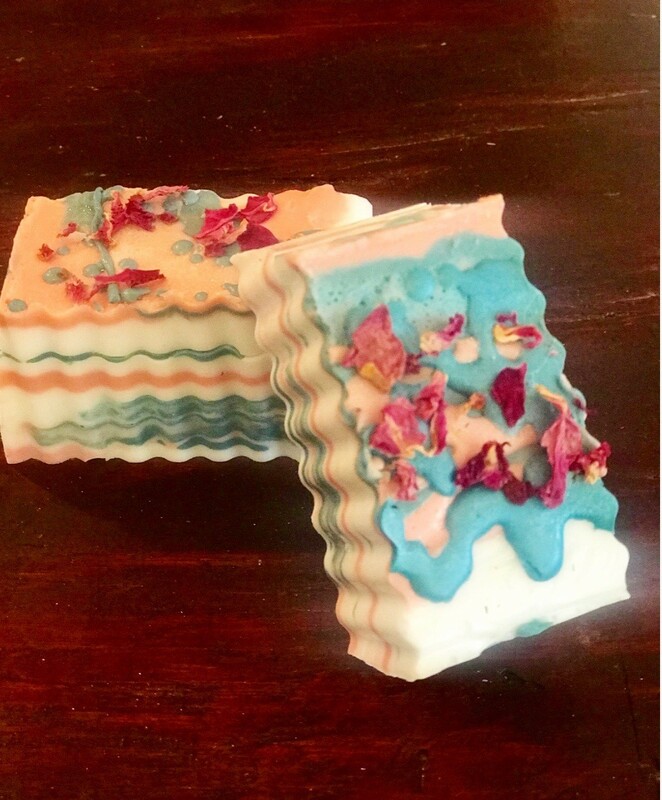 We created this handmade luxury soap with a coconut milk base and infused it with coconut and rose essential oil and topped with fresh rose petals. All of our soaps are created with love, infused with crystals, and moon bathed. We hand crafted this soap to create a smooth product for itchy skin and soft cleansing. The aroma is sweet and calming and perfect for a bubble bath. Our love soaps are the highest vibrational and most healing product on the market, as we put pure love and the intention into each bar.